Last month, the Vernon City Council announced its discriminatory plans to ban shopping carts on public lands. Shopping carts are sometimes the only means for people experiencing homelessness to get some privacy and protection in the face of insufficient shelter capacities. When you have no choice but to carry all your belongings with you at all times, the use of shopping carts is a necessary survival strategy. In response, the BCCLA fought this ban and succeeded in urging the City Council to abandon its plans to implement such a discriminatory policy. 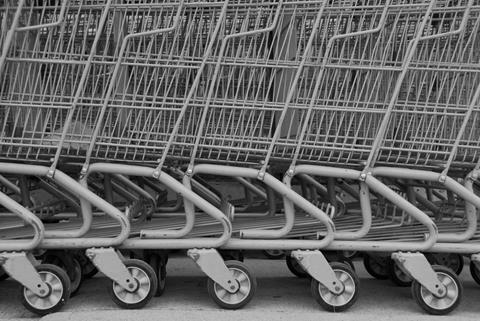 Read our letter against the ban on shopping carts here. The Council voted 5 – 1 against the ban after the BCCLA and Pivot Legal Society submitted letters urging them to consider the rights infringements this ban poses. A shopping cart ban would have been blatantly discriminatory, and would deeply infringe on the rights of homeless people. Shelters in Vernon are currently at capacity, forcing homeless people to create temporary shelters outdoors. To deprive them of access to public spaces simply because they use a shopping cart is senseless and cruel. We are pleased that the City Council has decided to quash this proposal, but are mindful that housing insecurity continues to be a growing civil liberties threat in BC. Housing is a basic necessity, and lack of adequate shelter hinders our ability to access to other fundamental rights. We’re glad to see that people experiencing homelessness aren’t being further marginalized by this attempt to exclude them from some of the only spaces to which they have access.